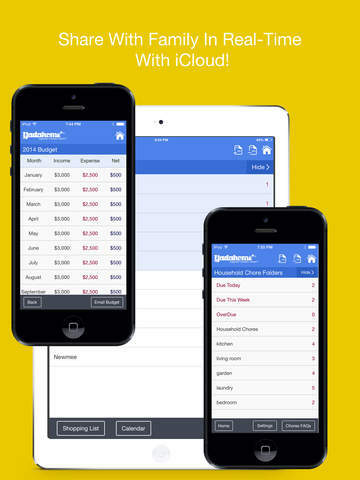 Take Charge Of Your Busy Life With Our All-In-One Organizer Designed For Anyone On-The-Go. 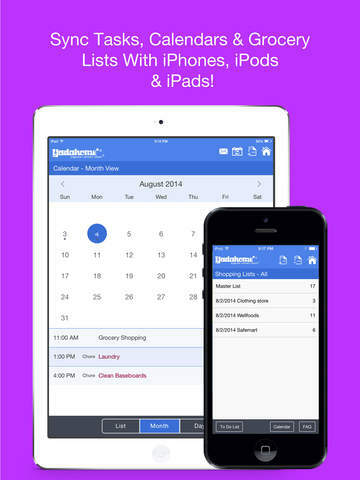 Features Grocery & To-Lists, A 3-In-1 Calendar And The Ability To Sync With The Built-In Calendar & Across Your Devices! 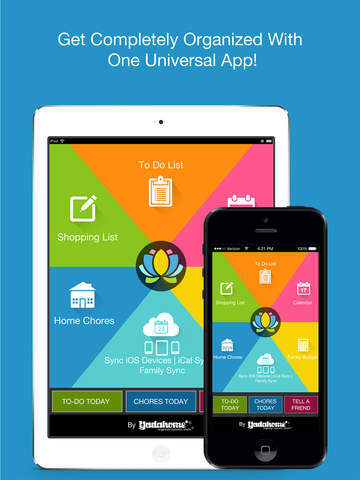 To-Do Daily Planner Is A Universal Full-Featured & Intuitive Family Organizer App That Helps You Organize Your Busy Life! 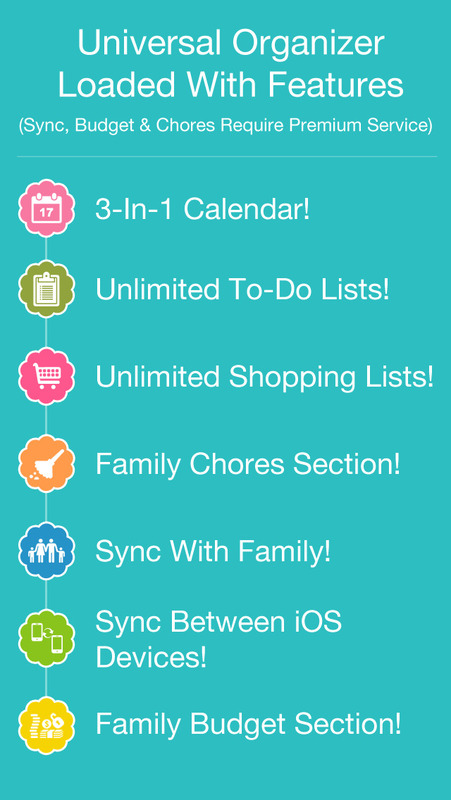 It Includes: Unlimited Grocery Lists, Unlimited To-Do List, Chores, A 3-In-1 Calendar & A Budget Feature In One Convenient Package! 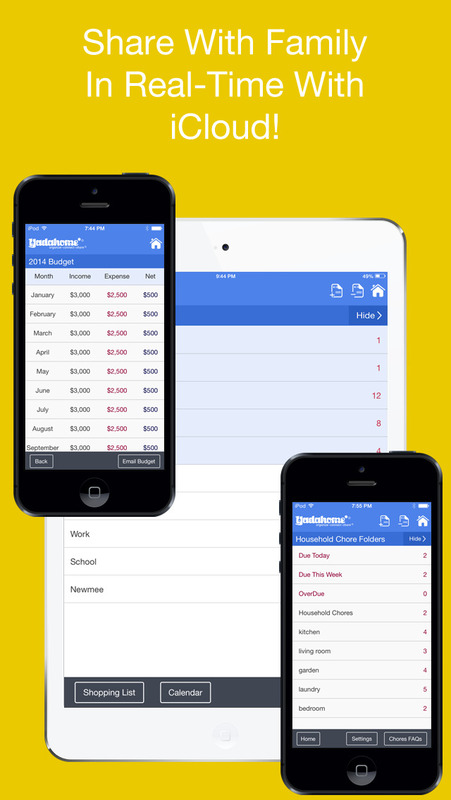 Primary App Features Include: Unlimited To-Do Lists, Unlimited Grocery Lists and a 3-In-1 Calendar! *Easily Cross Items Off When They Are Complete! 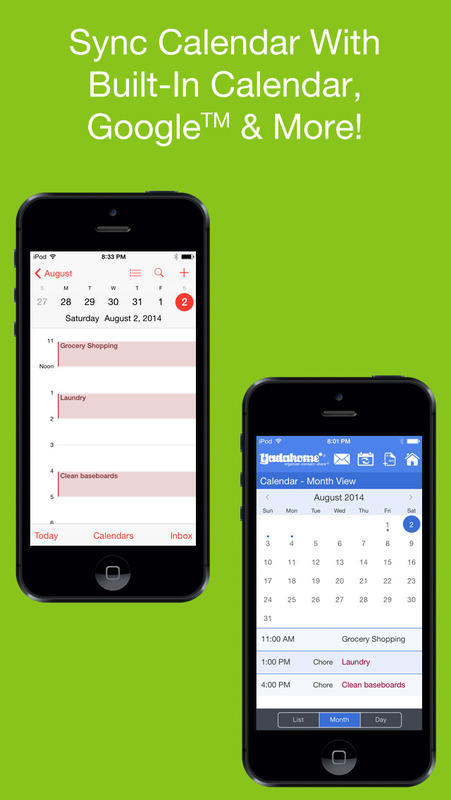 *See Your Events Easily With Day, Month And List View. 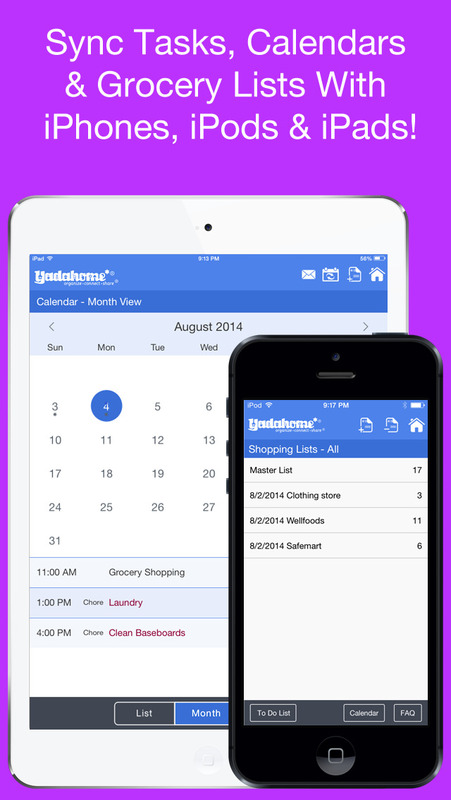 Check Inside To Add Chores, Calendar Sync, Family Sync And More! A Truly Versatile Organizer App Designed For Individuals, Students, Parents, Families & Anyone Looking For An Edge In Getting And Staying Organized!